Most of us have been in that predicament where we needed to raise some cash quickly, easily, and legally. Perhaps you are between paydays and just needing some quick cash to hold you over, or have an emergency expenditure that is not within your budget. 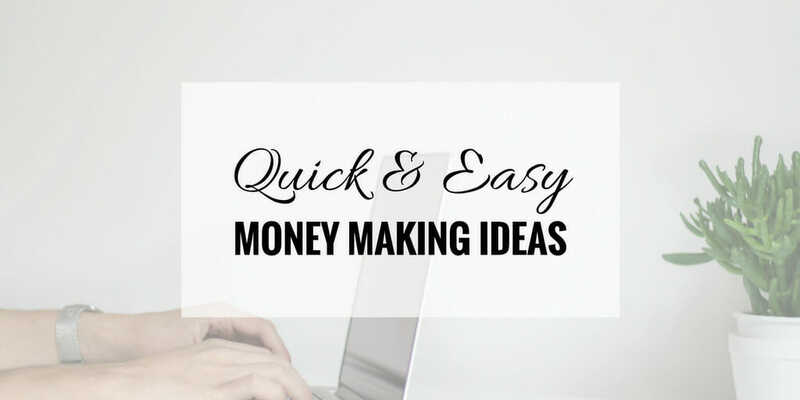 Or for a lot of people, the monthly income just isn’t enough to be able to live comfortably or to cover all expenses, so an additional source of money is necessary. Do you have an extra room in your house or apartment? Getting a boarder would be a great use of the extra space (with the necessary background checks for potential renters, of course). Or if you live in an apartment close to a major public venue such as a stadium, shopping center, or business district, consider parking your car further away and then renting out your own parking space. Chances are, you have clothes, shoes, accessories, furniture items, and other items that are gathering dust around the house or a storage unit somewhere. Stuff you don’t need anymore might just be stuff that other people would be willing to pay for. A yard sale is a great way to earn some cash quickly; you don’t need a business license or an office space to lease either, as your yard will do just fine. Having a hard time selling your collection of LFO cassettes or CDs from the ’90’s? Someone, somewhere online might be looking for these, so posting ads on Craigslist, eBay, or other online selling and auction sites would be your next best option. Or if you have a hobby of creating jewelry, designing t-shirts, creating trinkets, concocting perfumes and body lotions, and making other arts, crafts, or personal items, you can sign up with e-commerce sites such as Etsy and sell your stuff on the Web. Some workplaces offer overtime, while others don’t. Find out if your office or company offers overtime, and ask your immediate supervisor how you can sign up for it. At my former employer, it overtime wasn’t in the company policy, but if you asked, the manager would pull strings for you. A couple of hours of overtime every day translates to an additional 8-10 hours each week, so it is like working an extra day (but it won’t feel like it). Also, if you have a usual 9-5 work schedule, staying a couple hours later at the office would mean by the time you are headed home, the rush hour has passed and you would encounter less traffic. An additional part-time job should be something that is not too physically or mentally demanding that it leaves you exhausted or affects your main job. An excellent idea would be to explore work-from-home jobs online; they offer additional income but don’t require to leave home or commute some more. There are many opportunities for online work in the fields of freelance writing, graphic design, website development, customer service, medical transcription and billing, search engine optimization, and other administration support or Web marketing tasks.